My father lived in China for ten years, a long time ago. Upon his return to U.S.A. he returned with severa artifacts. He built and developed a successful importing business. 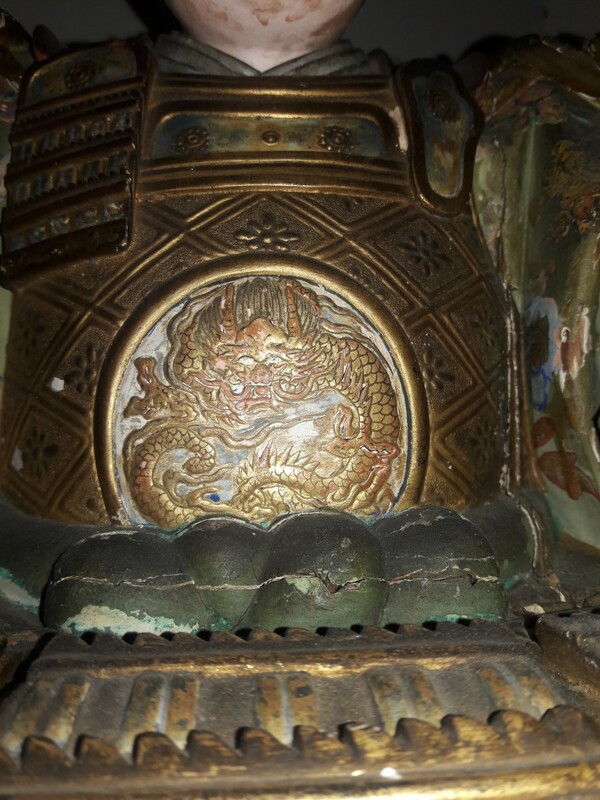 During his more than thirty year business career he continually added to his Chinese Art Collection. Most was Chinese, but there are a few Japanese items as well. 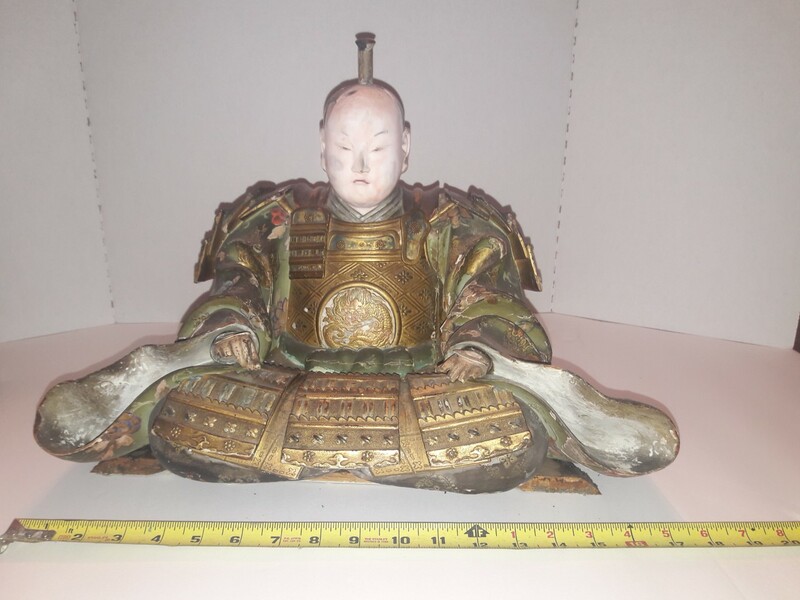 I am enclosing photos of one such item; a wood carving of a seated figure. My question and curiosity would be: Is this Gentleman a God, ruler, Emperor or teacher? What historical significance would he have in Japanese culture? If he could tell a story… what would it have been? 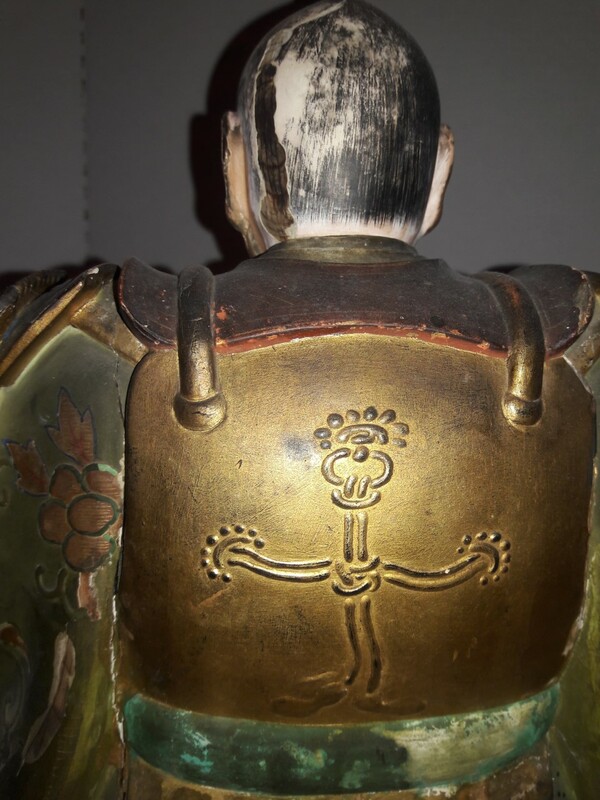 This piece has been in our family ….for over 50 years…..
My research had found a similar carving several years ago, on the internet, and displayed in Thailand, but I’ve been unable to acquire any additional information on the identity of this man. My question would be, perhaps you may be able to provide some additional information on him, or point me in an alternate direction that I can continue this venture.